Pegasus EXT5214-84/433 - 2x4 BT 250 back-latch overlocker. 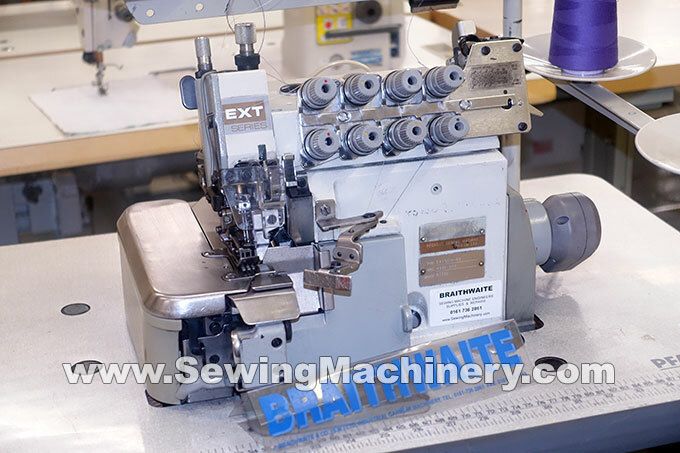 Pegasus EXT TOP FEED high speed 4 thread overlock sewing machine with BT back latching device, including controller and double tension assembly. 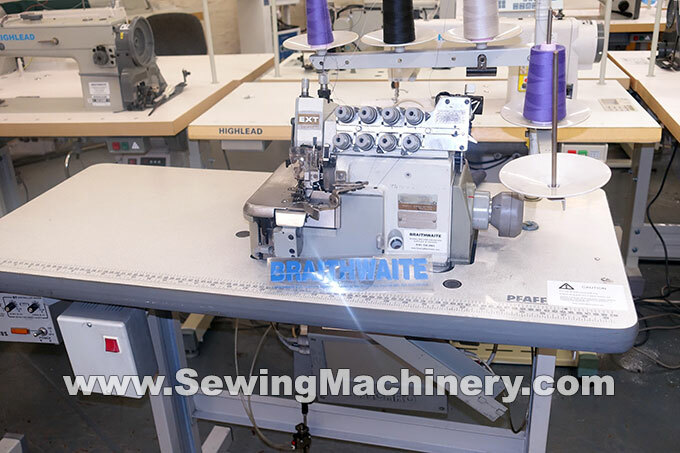 For stitching the thread chain back in to the seams at the start of sewing; eliminating the need for an additional bar-tacking operation (& machine). For medium-heavy weight materials, i.e. sweaters etc. Assembled with unit stand, electronic needle position motor and optional air operated auto foot lifter device. 220-240V single phase standard 13amp (air supplied required for the auto foot lifter).